We are identified as one of the major manufacturers, exporters and suppliers of high grade Metal Detectors. Our team thrives in presenting these products also in customized option. These are developed with supreme quality raw material and are electronically operated. Our products are widely demanded due to excellent performance, durability, reliability, fast scan rate, instant response and high sensitivity for non-intrusive body searching. Keeping in mind the varied requirements of our clients, these are available in different sizes and shapes at affordable price in the market. Complying with international standard and latest technology, we manufacture, export and supply a wide range of Hand Held Metal Detectors. These are used for detecting weapons, detonators, metals in parcels, baggage, correspondence, fabric etc. Our hand held metal detectors are light weight, easy to use with convenient operation and provide very quick & clear response to metal objects. 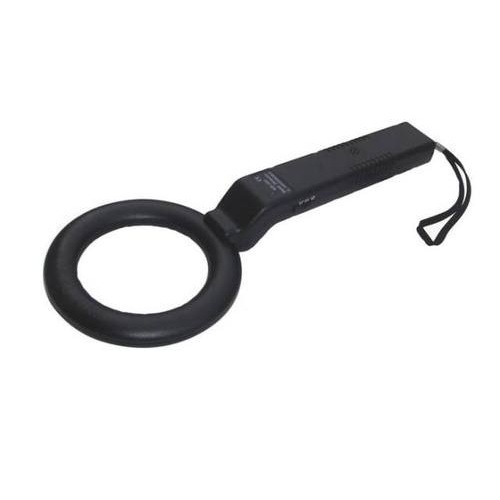 Further, these hand held metal detectors are quality tested on various parameters to match with international standards. We offer these products at acceptable prices to our clients. With the assistance of the most competent professionals and latest technology, we are able to manufacture, export and supply high quality Door Frame Metal Detectors. Our products are manufactured in compliance with the set security standards using high-grade raw material and latest technology. Moreover, our quality inspectors check the entire range of detectors on various well-defined parameters to ensure its performance. These detectors are highly demanded in the market by our clients because of the features like high durability, accuracy and precise dimensions.